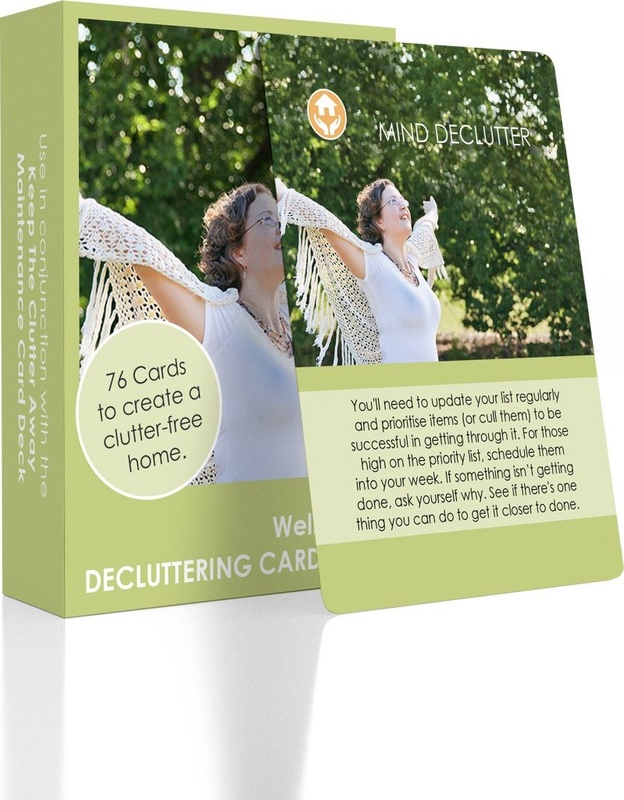 Make decluttering fun with our Decluttering Card Deck. With 76 challenges to choose from, you can work your way through or choose one at random to start your journey to an organised home. Declutter your home and have fun doing it. The WellSorted Decluttering Card Deck is like a mini self-help guide that you can work through, one card at a time. 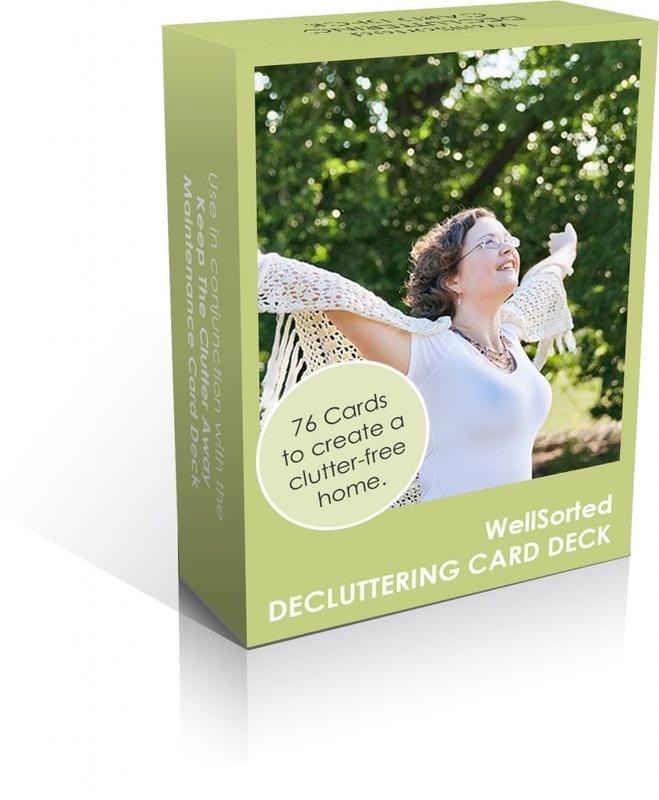 With 76 tips and decluttering challenges in your card deck, you’ll be motivated to declutter your home. Each card includes a challenge for a different area of your home, along with practical tips on how you can approach each challenge and organise your home. You might find a specific challenge, like tackling your books. Or you might shuffle the deck and do one at random. 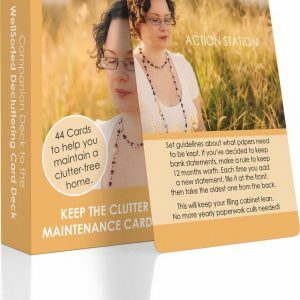 Want to stay on top of the clutter? The best way to use the WellSorted Decluttering Card Deck is in conjunction with my companion deck, Keep The Clutter Away – Maintenance Card Deck. That way, you’ll get the steps you need to set up ongoing processes and maintain your newly organised space.